Earlier today, well-known digerati dude Robert Scoble posted on his social feed on Google+ that the search giant was working on a social and news reader. If blowing the minds of hot Silicon Valley start-up Flipboard and Facebook is the goal, then Scooby-Don’t’s rumor is pretty spot-on. 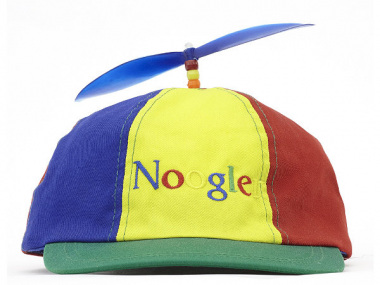 According to numerous sources close to the situation, Google is indeed working on rolling out the new product, which is currently called Propeller. Sources said Propeller is apparently one of a number of new socially focused announcements Google is prepping, including new apps. But the timing for their launch is unclear. Here’s what is: Propeller is a souped-up version of similar reader apps such as Flipboard, AOL’s Editions, Yahoo’s Livestand, Zite (which was just bought by Time Warner’s CNN) and Pulse. Facebook is also making social versions of publications available within its site. So, instead of just seeing a sidebar on a news site of what stories your friends liked, you’ll get a personalized and reformatted version of the latest news when you visit that publication’s page within Facebook. All these apps are part of the drastically changing habits of media consumers, helping them better navigate numerous social and media feeds — such as Facebook and Twitter, as well as news sites and more — using handsome interfaces and touch technologies. Flipboard is the most prominent and elegant of these offerings, available only on the Apple iPad. The company is working on an iPhone version, too. Flipboard’s traction among elite users, along with its high-level design ethos and strong reviews, is why Google tried to buy the well-funded company last year, sources said. But Flipboard — which is backed by some of tech’s biggest venture players, who have invested more than $60 million at a $200 million valuation — declined the kind offer. At the time, sources said, Google told Flipboard execs that if it did not buy the start-up, it planned to do a version of its own. Hence, after I heard about the product earlier this year, I dubbed it the Flipinator. Propeller is probably a better name, I will admit. It’s not clear what Google’s Propeller will include in the product, such as Facebook integration, since the pair of Silicon Valley behemoths have not been able to partner over data exchange. Which is an understatement, I know. But sources said it would be available on both Apple’s iPad and Google’s Android tablets. In any case, stay tuned and thanks to Scoobs for the tip!